What Should Novice Investors Know About Precious Metals? Precious metals are popular among investors because they have intrinsic value and offer inflationary protections. Furthermore, they can’t be inflated and carry no credit risk. Precious metals are also a unique investment opportunity that comes with proper upheaval insurance. As a result, if there is any political or financial instability or even a military upheaval, you can rest assured that your investment is safe. What impacts the price of this unique investment channel? If you look at precious metals like gold, it’s considered to be durable, malleable, and is often used in industrial applications like electronics, dentistry, jewelry, and sometimes acts as a form of currency. The value is determined twenty-four hours a day, almost seven days a week and is affected by the laws of supply and demand. The price is dictated by investors who tend to hoard it. This means that when they want to sell, the price drops and rises when they start buying it all up. Silver, on the other hand, tends to swing between its tangible role as an industrial metal and its perceived role as a store of value. 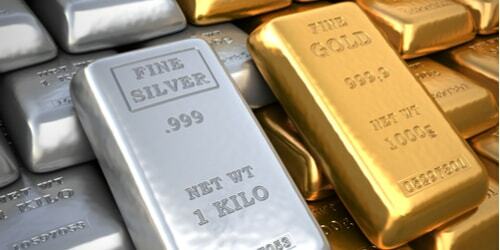 This is the primary reason for the highly volatile fluctuations in the silver market. Platinum is often traded at a higher rate than gold in the global commodity markets. It costs more because it’s simply much rarer than gold and silver. The price of platinum is also influenced by the auto industry (that uses it to reduce harmful emissions), computer hardware, oil and chemical refining, and the jewelry industry. How do you leverage this investment opportunity? Whether it’s gold, silver, or platinum, they all offer an effective means of diversifying your investment portfolio. But to get it right, you have to understand your risk profile and your goals properly. It’s also important to note that the volatility of this investment channel can be harnessed to your advantage, but things can quickly go wrong if you leave it unchecked.